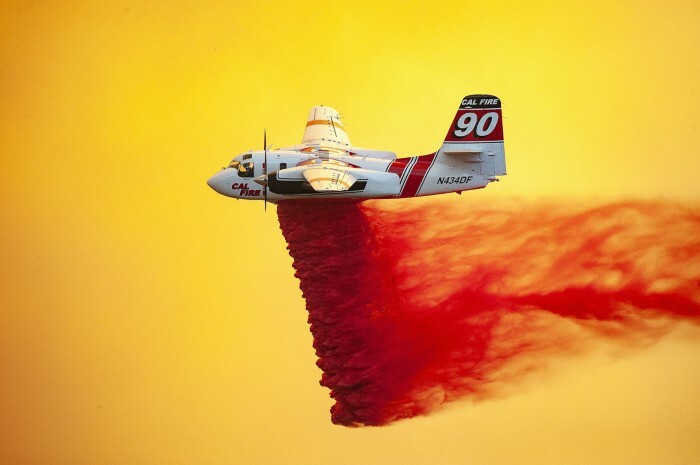 California’s worst wildfires, cloned monkey twins, the world’s smallest house and more. 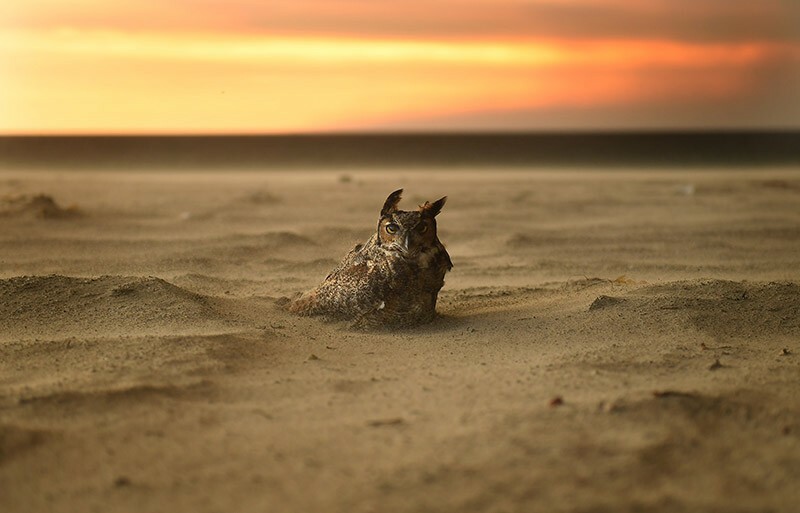 2018 will go down in history as a scorcher: deadly wildfires and droughts raged from California to Cape Town. The year also brought advances in cloning and imaging — and a bleak reminder of the fragility of some of Earth’s rarest species. Here are the striking shots from science and the natural world that caught the eyes of Nature’s editors. 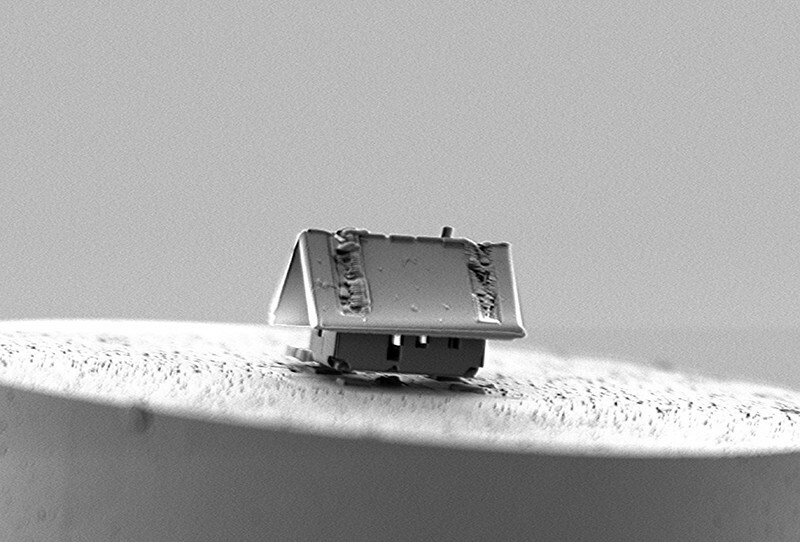 In May, a team at the Femto-ST Institute in Besançon, France, used nanoassembly tools — a focused ion beam, a gas-injection system and a tiny, manoeuvrable robot — to build this 20-micrometre-long house from silica. Cell biologists Stephen Freeman and Laurence Delacroix at Liège University in Belgium won distinction in the Nikon Small World Photomicrography Competition with this image of neurons in a mouse’s inner ear. 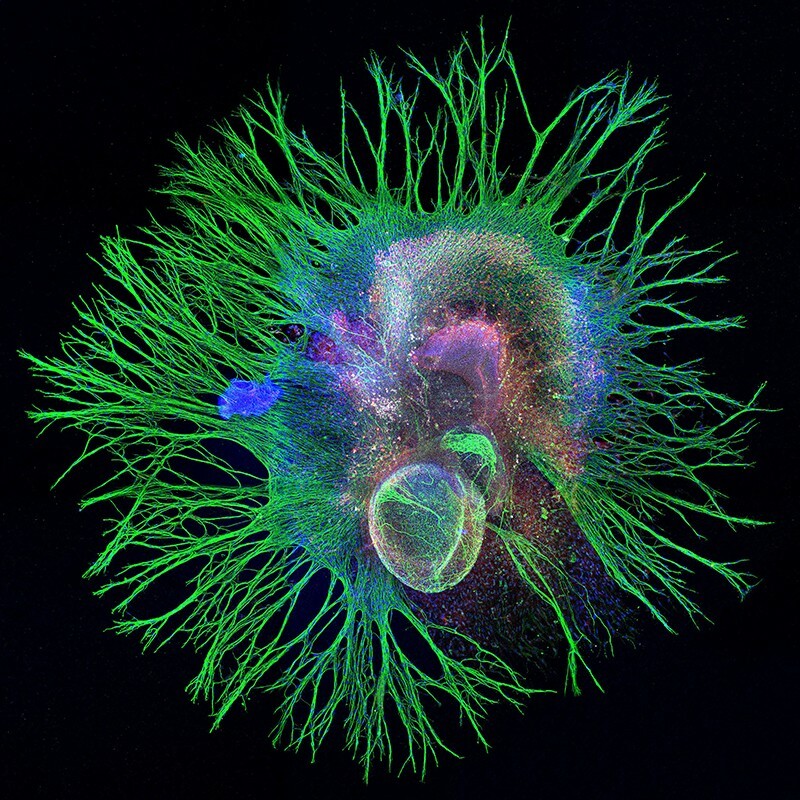 The neurons are cultured in vitro to study how neurons mature and become damaged. 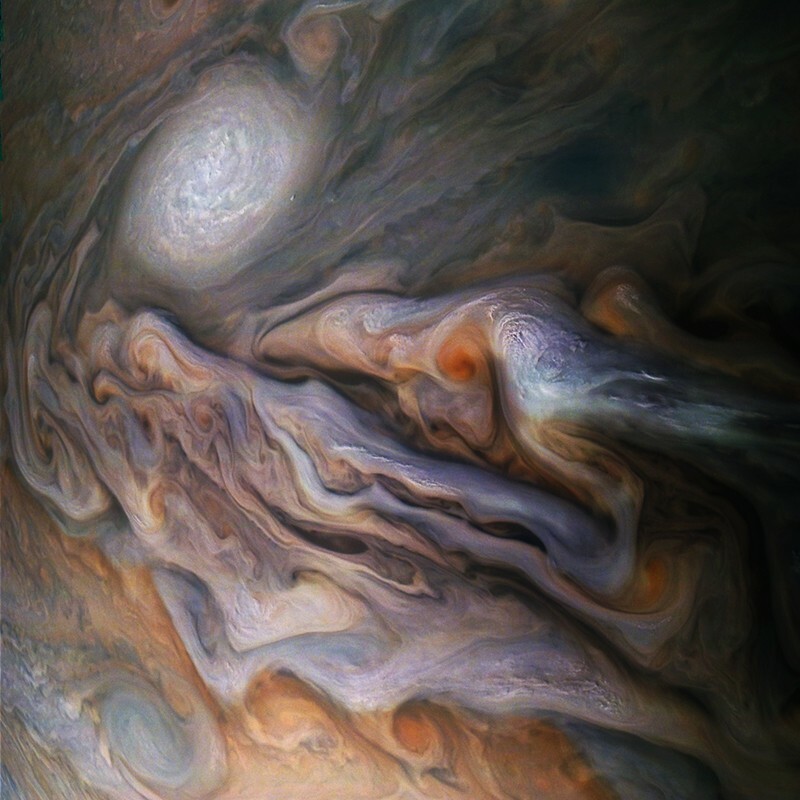 NASA’s Juno spacecraft, now in the eighth year of its mission to Jupiter, offered rich data and spectacular images of the gas giant. Swirling clouds and a large storm — the white oval — are seen here in the planet’s dynamic northern hemisphere. US company SpaceX continued its dominance in the commercial spaceflight arena, making a suite of rocket launches and landings. 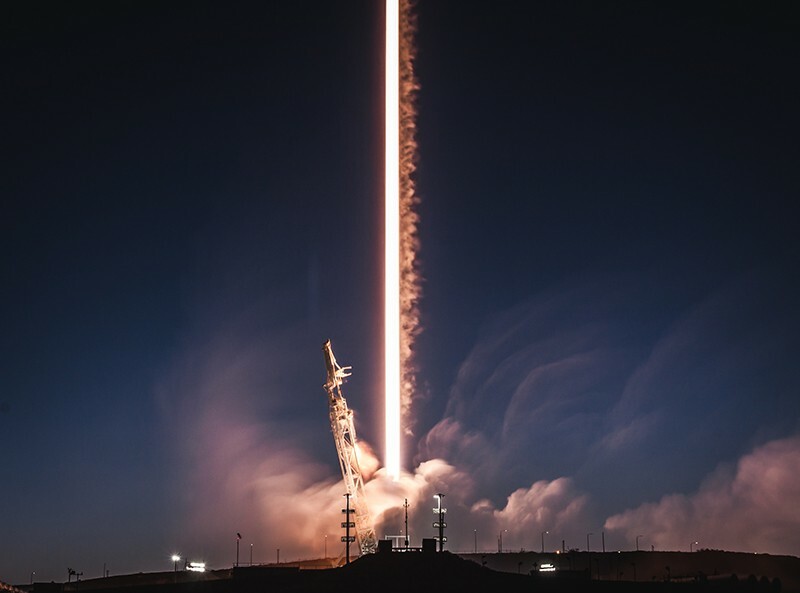 This February’s launch from California carried a radar satellite and two Starlink satellites — part of the firm’s ultimate goal to provide Internet worldwide. 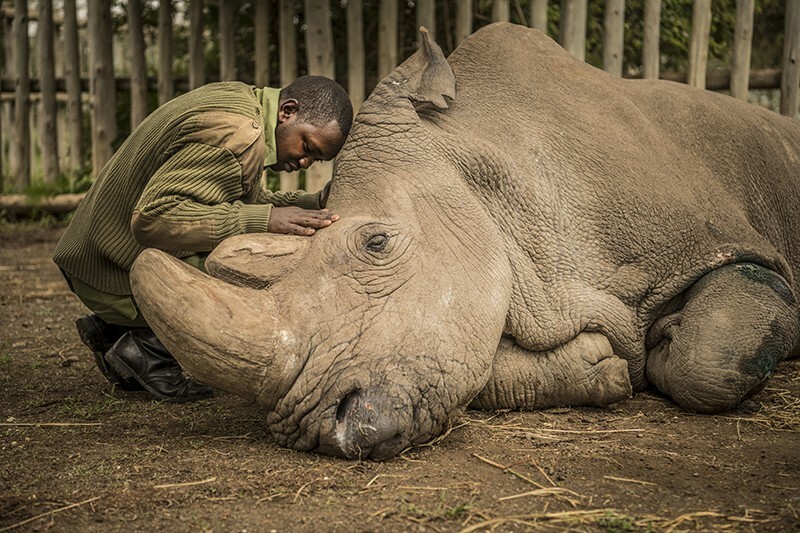 The world’s last male northern white rhino, Sudan, died in March in Kenya. Only two females survive — and researchers are exploring ambitious in vitro fertilization techniques to save the subspecies (Ceratotherium simum cottoni). 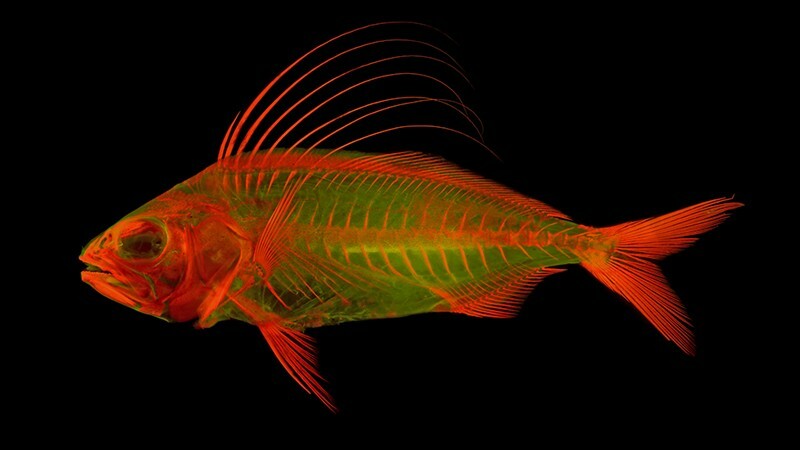 In September, ecologist W. Leo Smith at the University of Kansas in Lawrence published a new imaging technique, used on this roosterfish (Nematistius pectoralis). The method involves stripping away an organism’s muscles and staining its bones. 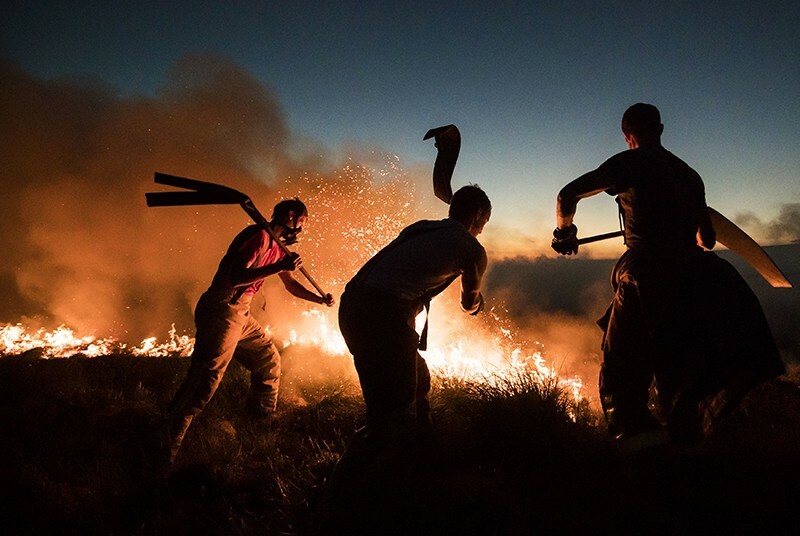 Three years of record-breaking drought in South Africa prompted officials in Cape Town to consider a dramatic move: shutting off taps completely. 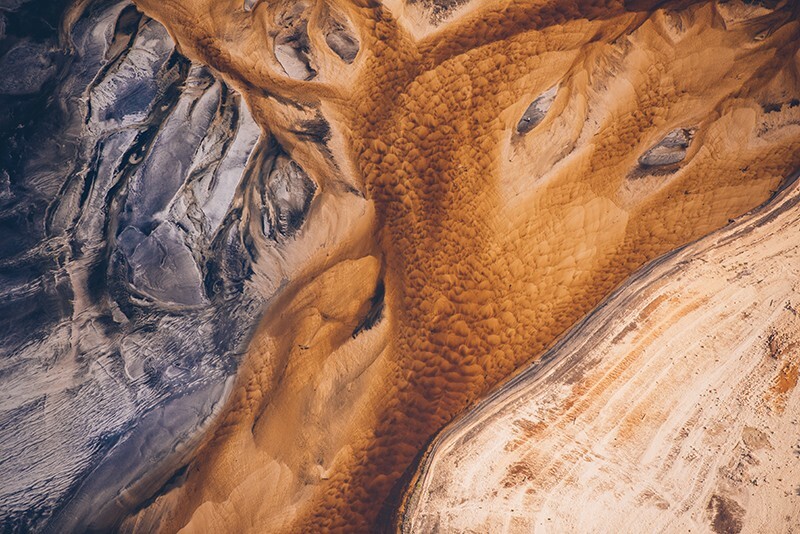 City resident and photographer Kelvin Trautman captured the scale of the crisis in this image of an empty reservoir at Steenbras Upper Dam. Meet Zhong Zhong and Hua Hua. 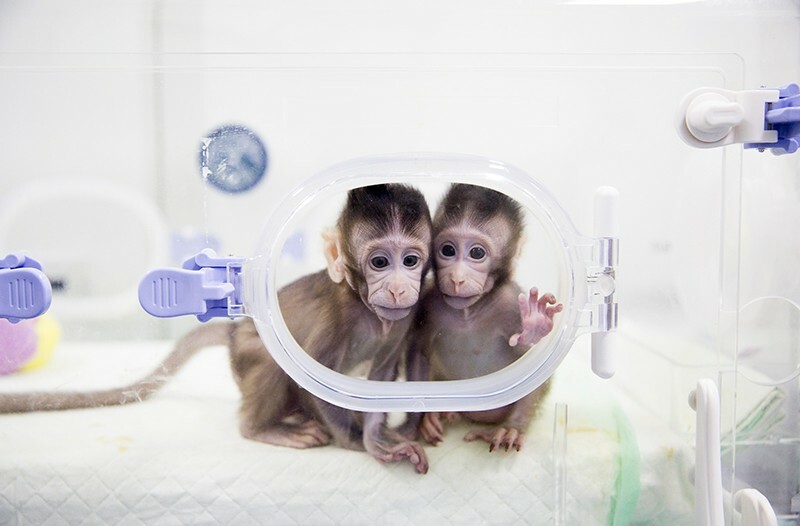 The macaque twins, introduced to the world by Chinese researchers in January, were the first primates to be born using a cloning technique similar to that used to produce Dolly the sheep. Primates had proved difficult to copy using standard techniques. 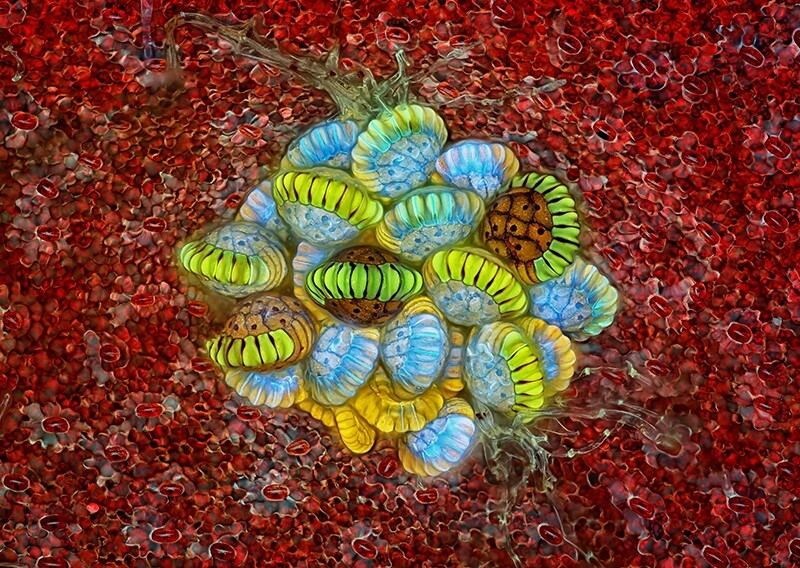 This 10×-magnified ultraviolet image of a fern sorus — the structure that produces and contains the plant’s spores — won Rogelio Moreno Gill second place in the Nikon Small World Photomicrography Competition. Credit: J. Abrahão et al./Nat. Commun. 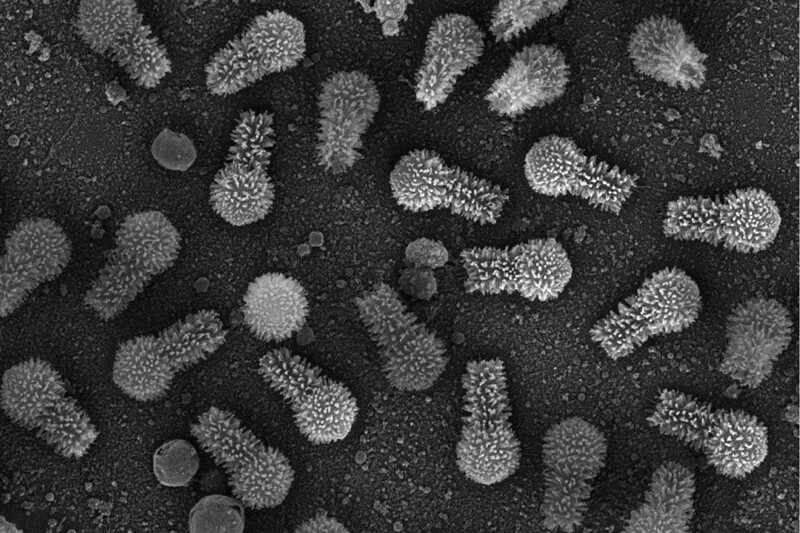 A newly discovered giant Tupanvirus, found in amoebae, has both the longest tail and the largest set of genes involved in protein-making of any known virus. 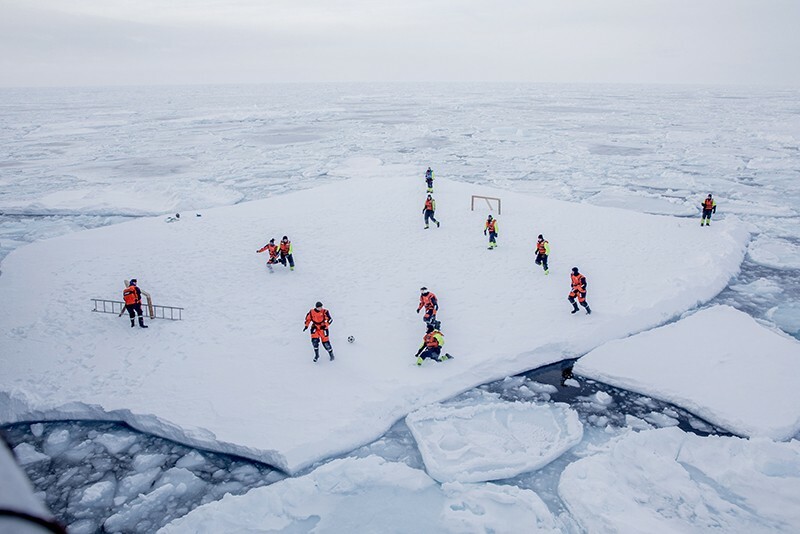 An Arctic game of football is a risky business. During a match in March on an ice floe near Greenland, armed guards watched for polar bears while scientists from Norway’s Institute of Marine Research and crew from a naval ice-breaker played. 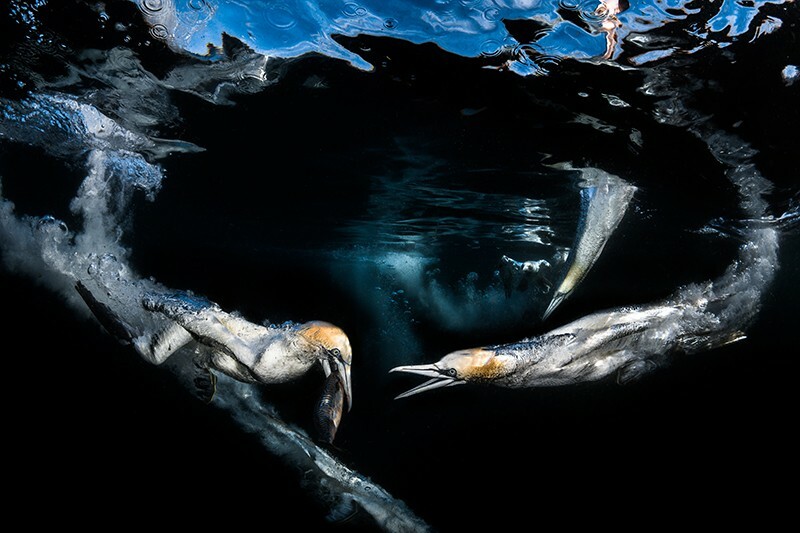 Gannets in Scottish waters dive to hunt for mackerel and other fish. 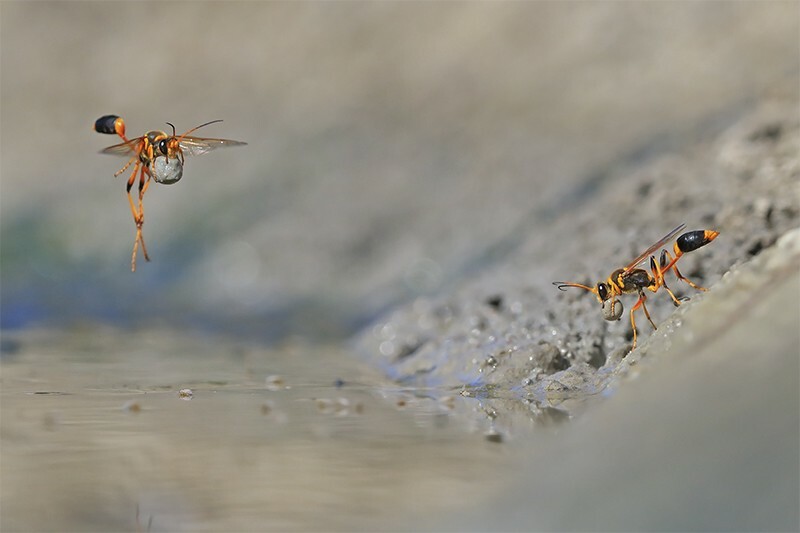 The birds drop from a height of 30 metres, achieving speeds of 100 kilometres per hour. 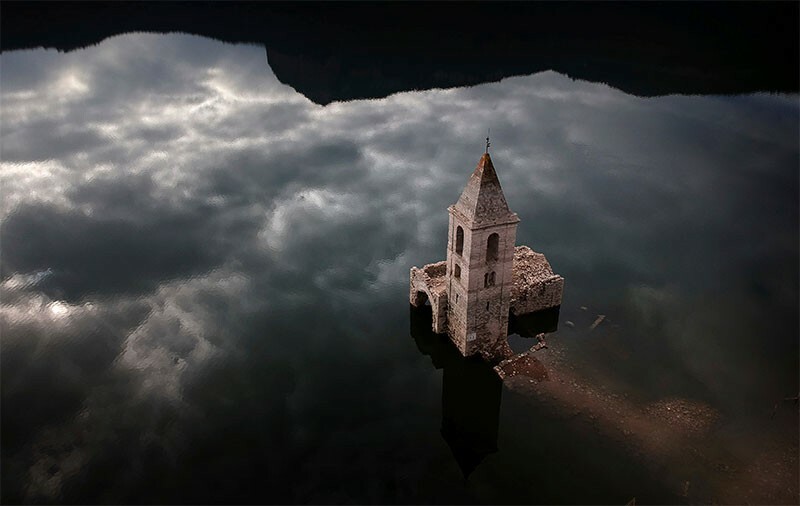 The image won third place in the behaviour category of the Underwater Photographer of the Year Competition. 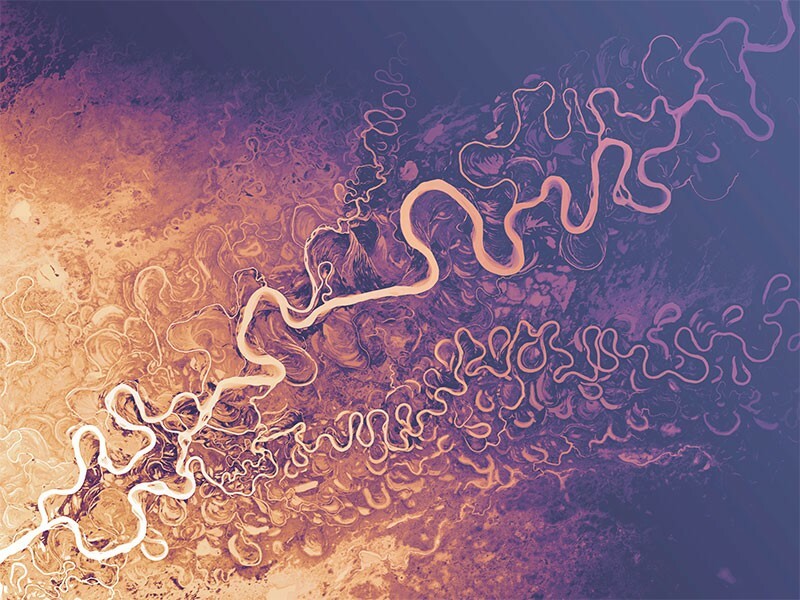 In compiling this year’s collection of stunning science photographs, each member of the Nature art team identified an image that said something special to them. Here is their take on the past 12 months. Lizzy Brown (Media editor): “Following the eruption of Mount Mayon in the Philippines in January, the surrounding area was covered in ash, turning the environment dull grey. 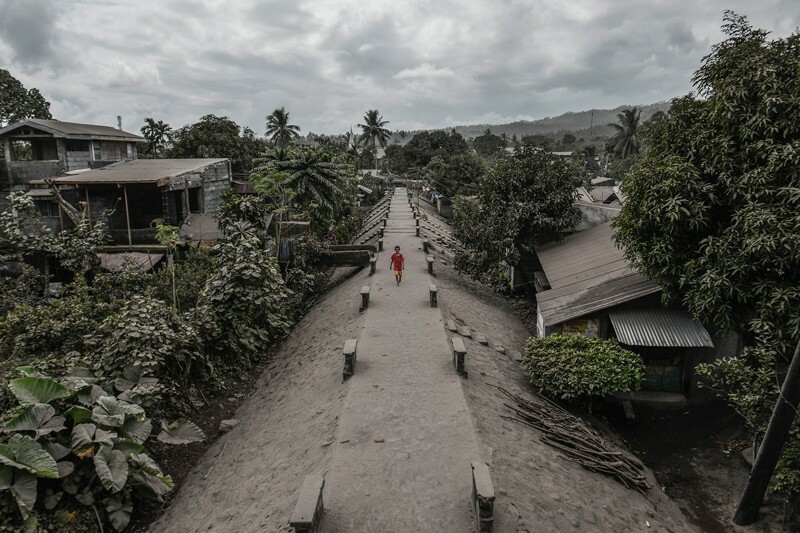 At first glance, it looks as though we are looking at a black-and-white image, but when you see the brightly coloured clothes of the small figure, the apocalyptic nature of the scene becomes clear." Alongside amazing photography, our art editors came across some media that are best viewed in motion. Here are some of their favourite gifs from the past year. This sea cucumber should come with a ‘do not disturb’ sign. When stimulated, the creature’s (Pannychia moseleyi) skin produces a frenzy of bioluminescent light. In February, SpaceX’s chief Elon Musk sent his Tesla Roadster into orbit. 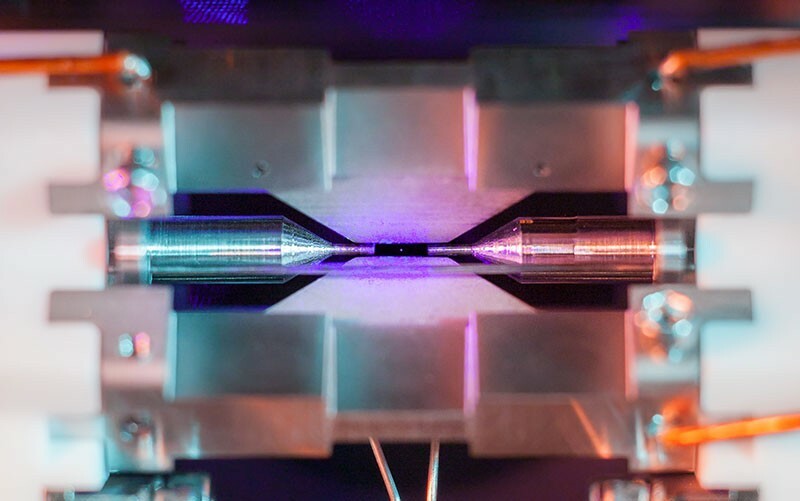 The car served as the dummy payload on a test flight of the company’s Falcon Heavy rocket, and is now in orbit around the Sun. Orbiting the comet 67P/Churyumov-Gerasimenko, the Rosetta spacecraft’s narrow-angle camera recorded these streaks as dust and ice particles drifted across its field of view. The gif, released in April, was constructed from consecutive images taken while Rosetta cruised some 13 kilometres from the comet’s nucleus. Credit: Jung, Baek, Dasen et al./Cell (2018). This skate hatchling (Leucoraja erinacea) — seen from below — is ‘walking’. Researchers reported in February1 that the species has the underlying neural circuitry for two-legged walking. The finding suggests that the circuits evolved through adaptation of a genetic network shared by all vertebrates with paired limbs. Jung, H. et al. Cell 172, 667–682 (2018).